Finding time for your health and fitness goals can be a challenge. Getting fit and healthy can be challenging, there are so many gyms and programs that the decision can seem a little overwhelming. After all, how do you know which program is right for you? You want friendly trainers and coaches who understand you and who will take the time to ensure you find the perfect program. A program that suits your busy lifestyle, goals and your budget. Each of us have different goals and needs. Your PI Trainer will develop a plan that is truly to you. Exercise, your way! You'll soon see that we are not like the big box gyms. Whether you are new to exercise, injured or in a wheelchair, even seasoned athletes, we cater to you. PI trainers are friendly and passionate about helping others. We truly put people before business. We like to think of you as being part of the PI family. We get it, getting active and healthy can be daunting, but it doesn't have to be this way. You deserve expert trainers who genuinely care about you and your needs. At Performance Institute we will guide you towards fun and engaging training programs. With our flexible schedules and timetable, you are certain to find something that fits with your busy lifestyle. Whether you are new to exercise or an athlete requiring individual attention, we can tailor the perfect program to ensure you achieve your goal and stay motivated. Our small group training offers the perfect blend of tailored personal training at a more economical price point. Trainers work with up to 5 participants at a time in a fun, energizing environment. Whether you have a sports injury, motor vehicle injury or other pain, you will heal faster with our Active Rehabilitation programs. Our on-staff Kinesiologists will tailor a treatment plan to help you feel great, faster! Skating technique is the single greatest factor that affects a player's speed, endurance and effectiveness on the ice. 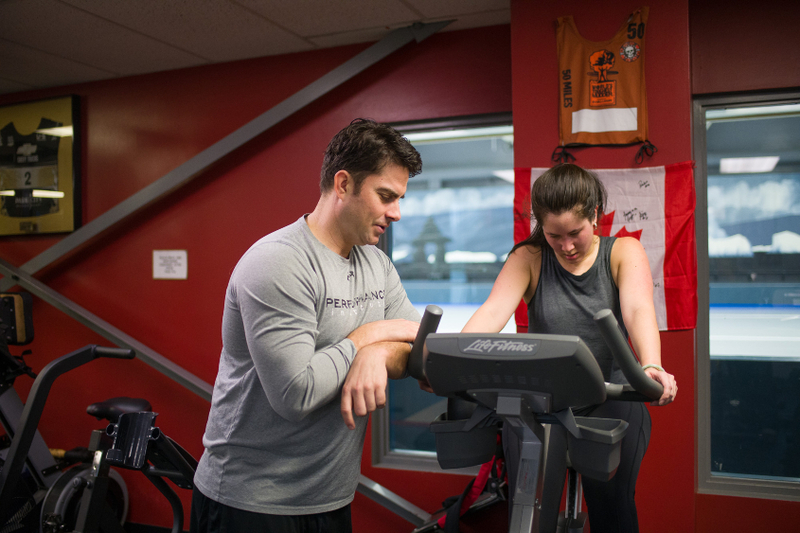 Our skating treadmill, assessments and programs will help you take your game to the next level. Many gyms and fitness centres don't cater for wheelchair training. 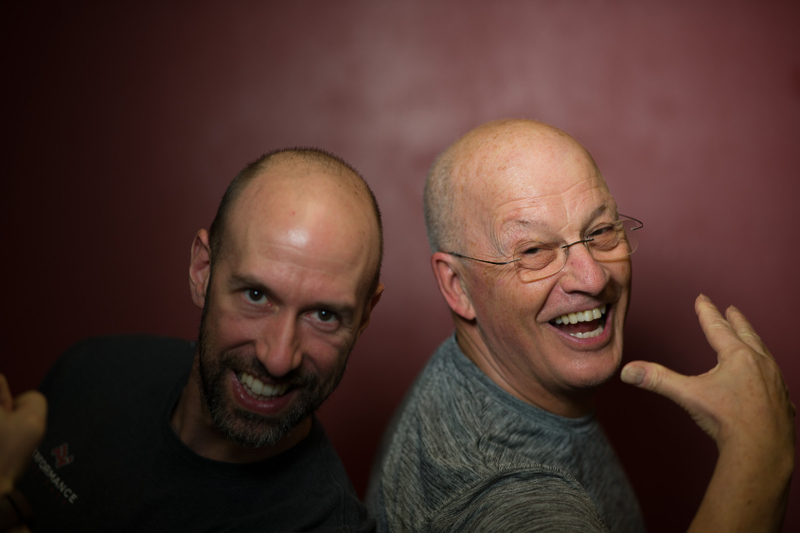 Steve Ramsbottom, Author of the book 'Wheelchair Training', is passionate about helping athletes of all abilities train their way to a better body. In our Metabolic Bootcamp you’ll work in small groups, get a great workout while still receiving individualized attention. You’ll benefit from a motivational group environment, at a more economical price compared to personal training. Our busy lifestyles make it hard to eat well. It can also be difficult to measure our progress. You'll have your own menu plans, weekly check-ins and monthly body composition assessments to keep you motivated and on track. We know that it can be hard to take the first step, so we make it easy. We take the time to understand your goals, then match you to a perfect program that you'll love. We'll help you book your first session. 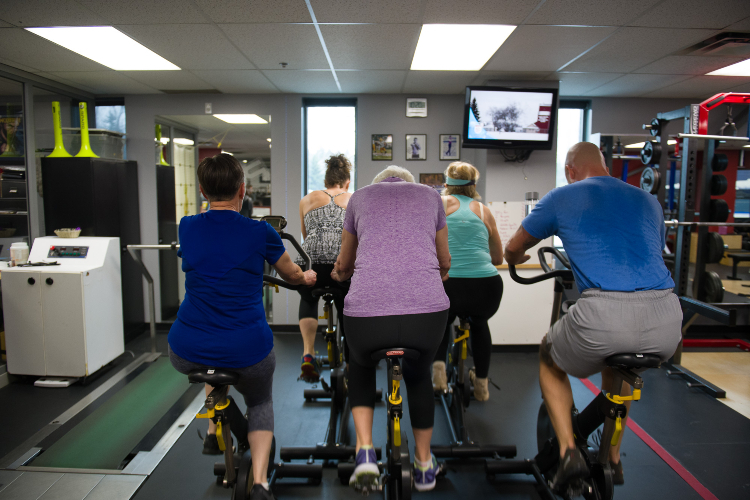 Relax, our friendly staff know that sometimes gyms can feel a little daunting so we help you feel comfortable with each step of your fitness journey. As you improve, your goals will change. Your trainer will develop tailored programs to keep you feeling energized and inspired! Whether it's life or sport, you'll be playing at the top of your game. Find out which program is best for you! Now that you have made the decision to commit to yourself, we'd like to make you a promise of our own. We are committed to helping you achieve your goals and want you to enjoy every visit. We are so proud of our warm and friendly community of friendly trainers and clients. Try us for 30 days, and if you don't love it, we'll refund your money in full and we'll even help you find a gym that you'll love. You'll soon see we are not like the 'other' gyms. We have all done it. We find excuses or reasons to avoid exercise, sometimes we procrastinate and avoid the decision entirely. Your health and happiness is important. Making a decision to train at the Performance Institute is a commitment to yourself, a commitment to a longer, healthier life.